None of these worthy of it's own post so I decided to make a "grouping". What the heck!! This is a beautiful arrangement I received in December. You can't miss with purple and green! 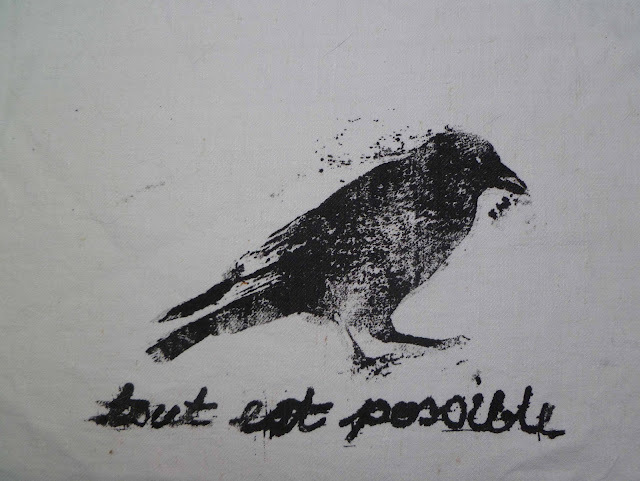 This is a print done by my friend Janine on white linen/homespun. I heat set it and will probably "color it up" with thickened dyes. In French it means, Anything is possible or Everything is possible. You've got to love that. 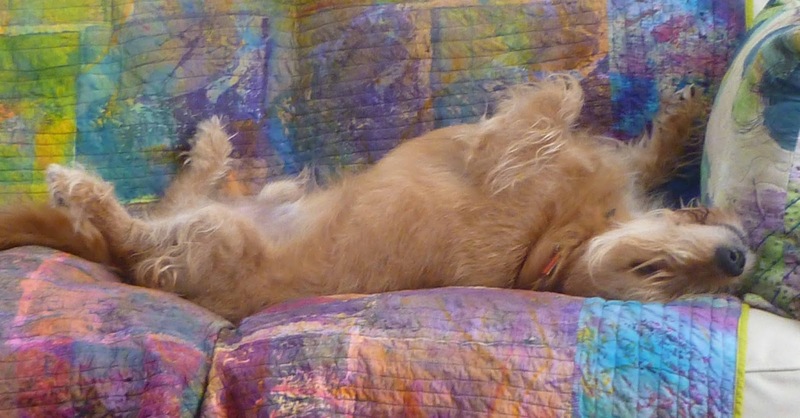 This is my sweet Owen on "his" love seat and on "his" quilt. Usually he has his head on one of the two pillows he has claimed. He actually sleeps in this position!! Sweet Owen! My cats sleep like that too... love to see them, tummies up, feet splayed out. Total relaxation! Want to reach through the monitor and rub Owen's tummy! The flowers are amazingly beautiful and really anything IS possible when you are surrounded by such beauty and the devotion of a good dog. What great life for your dog! 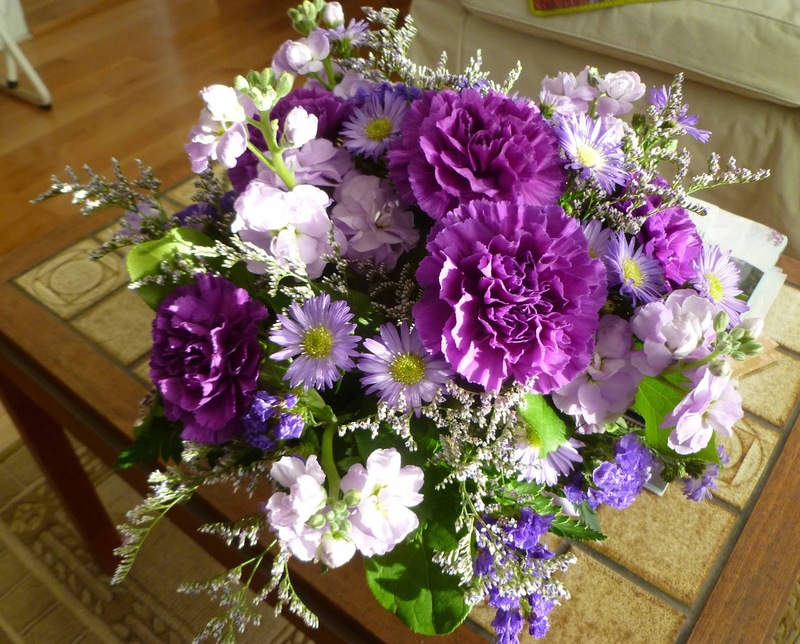 .. and flowers enjoy with the beauty of their colors.